With the Arkansas Cornbread Festival coming up, I thought I might share two of my favorite cornbread recipes. This first one is the closest thing I have to a Heritage recipe. Great with PurpleHull Peas and a little iced tea. Blend together dry ingredients with a fork (or sift if you prefer) in a bowl. In a separate bowl, beat eggs and add honey, buttermilk and melted butter. Incorporate the wet ingredients into the dry ingredients. Let sit five minutes. While the batter is sitting, heat up a 12 inch skillet on the stovetop. When it’s hot, pour in about an eighth of a cup of vegetable oil and roll it around the inside of the skillet. Pour in the batter and cook over high heat until the batter bubbles. Place in oven and let cook 40-45 minutes or until an inserted knife comes out clean. Place a cloth over a cutting board. Invert the pan over the cutting board and allow cornbread to fall out. Use the cloth to turn the cornbread right side up and wrap tightly until ready to serve, warm. 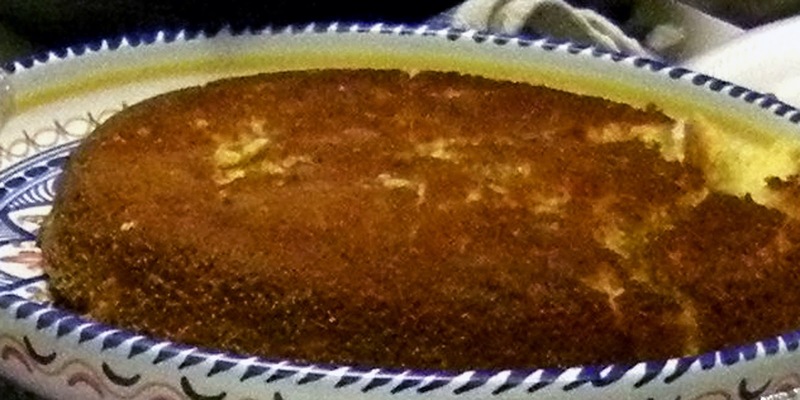 And for something a little different, this is a soft spoon bread type cornbread, almost a pudding bread, that serves up well with stews or chili. Add jalapeno pieces and a slug of garlic cayenne sauce if you want it spicy. In a bowl, blend together dry ingredients with a fork. In a separate bowl, beat eggs and add melted butter, sour cream and creamed corn. Incorporate the wet ingredients into the dry ingredients. While the batter is sitting, heat a 12 inch cast iron skillet on the stovetop. When it’s hot, pour in about an eighth of a cup of vegetable oil and roll it around the inside of the skillet. Pour in half the batter, spread the cheese over it and pour over the rest of the batter. 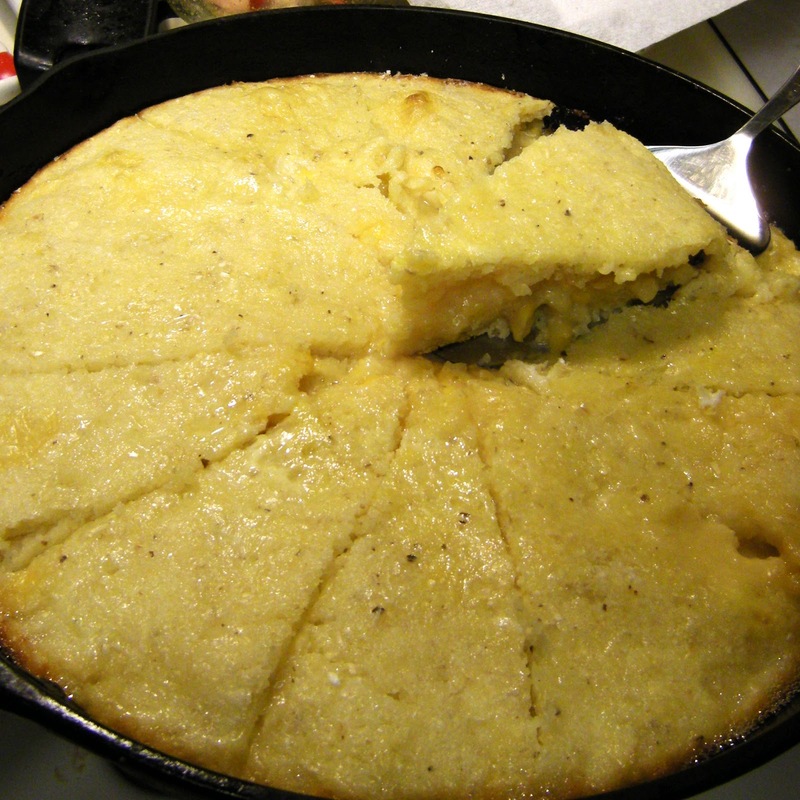 Place in oven and let cook 40-45 minutes or until the cornbread is completely set. Serve directly from the pan. Thank you for writing about the Arkansas Cornbread Festival. What great recipes! And thank you for being such wonderful help at the festival! Hope you enjoyed the food!